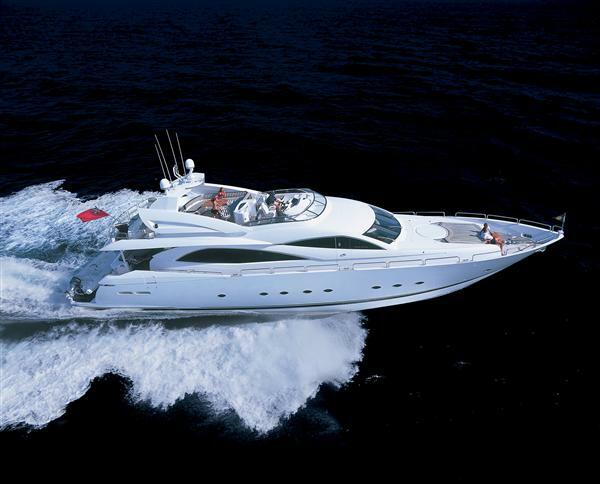 Just when you think you have seen it all, enter the Sunseeker 96 foot luxury charter yacht. This vessel is so massive, it would be easy to get lost while aboard. 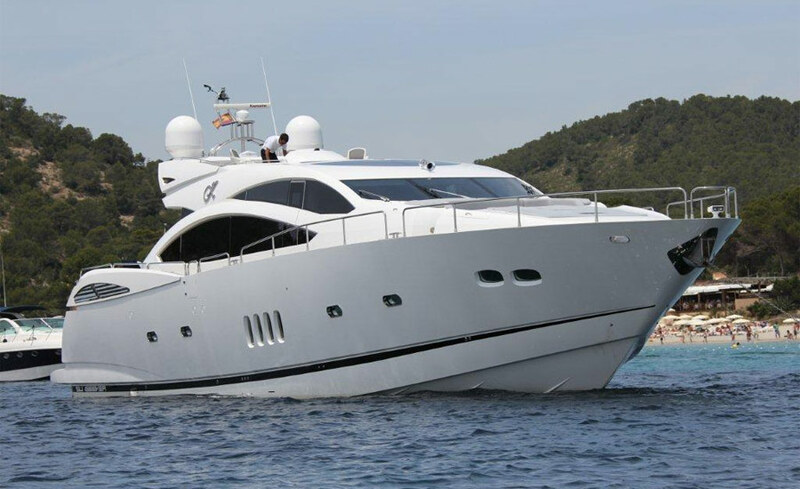 When you first set eyes on this elegant work of art, you will notice there is plenty of room above deck to enjoy sun bathing and entertaining. 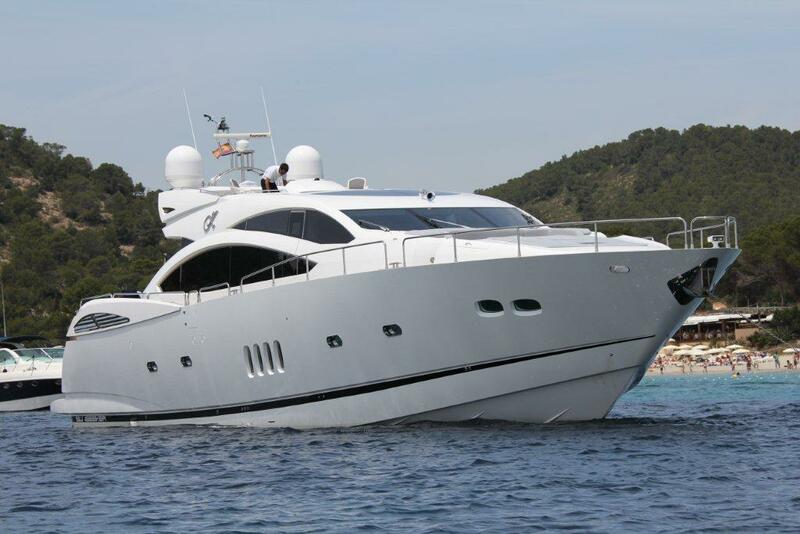 The bow of the yacht has a seating area for you to experience the wind blowing through your hair while the lounge area next to the flybridge will make you feel as though you are driving yourself. 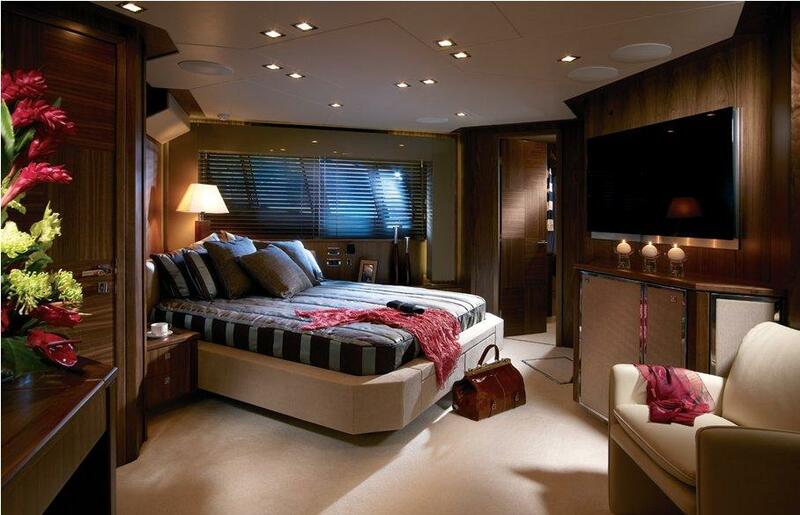 Once inside this luxury yacht, you will feel right at home. 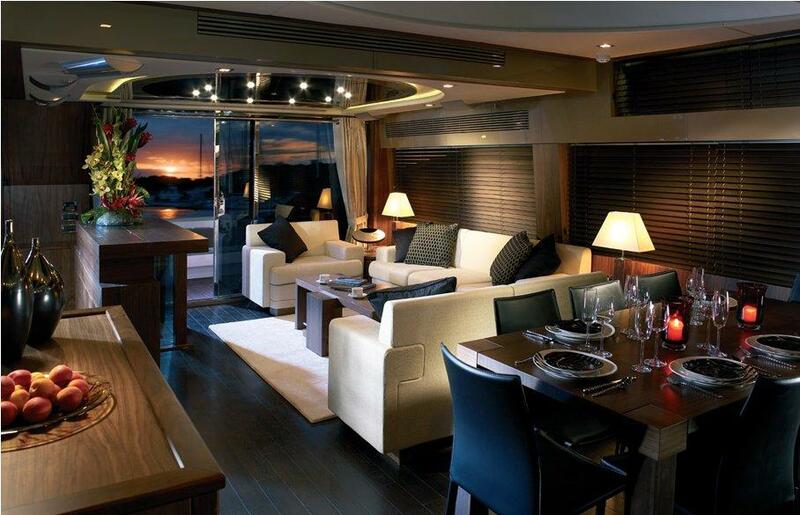 Its main galley has ample room for you to sprawl out of one of the sofas or mingle with the other guests. There is also a dining area that seats 8 where you can enjoy five star meals cooked by your private chef. 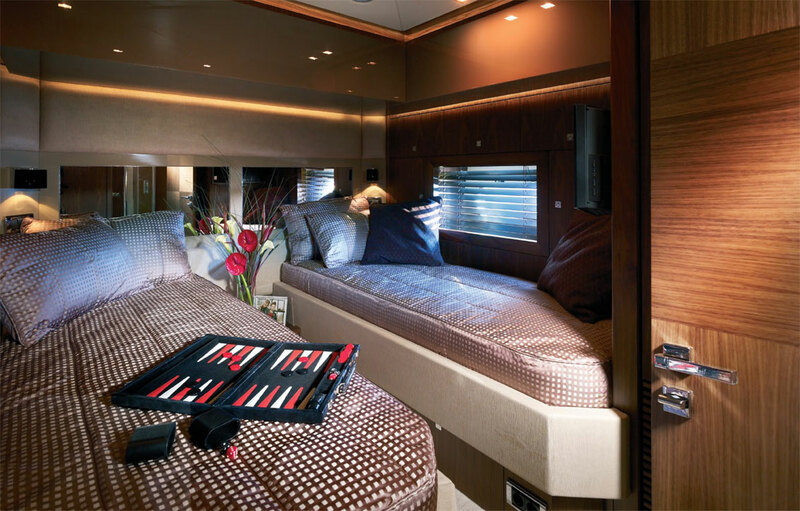 When are ready to call it a night, relax in your spacious cabin with its own private bathroom. 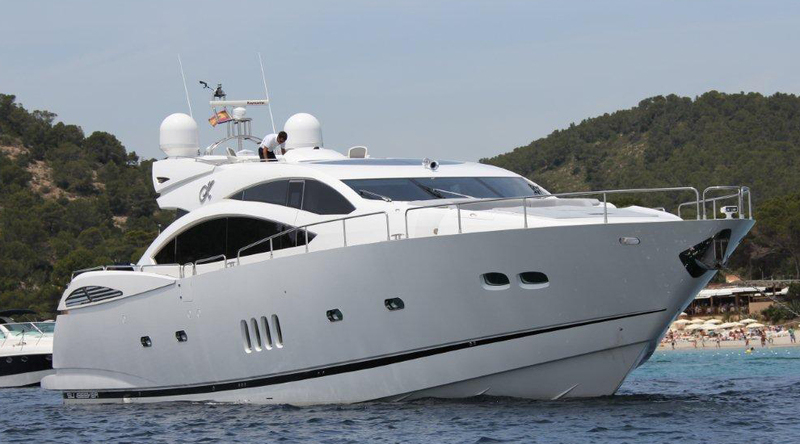 You can watch television as the gentle rock of the ocean waves lulls you to sleep aboard this opulent home in the sea. 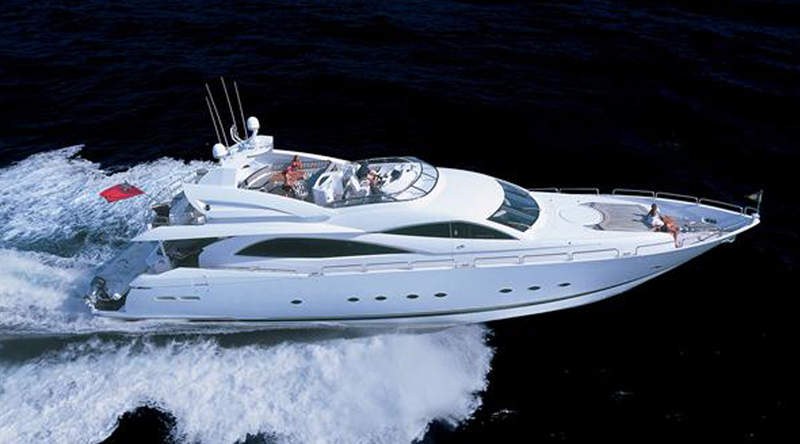 Not a single detail has been spared on this majestic luxury charter yacht experience.